Artist Bri Dill from South Windsor creates a painting at the grand opening of Infosys' Hartford innovation hub. Technology consulting company Infosys has formally cut the ribbon on its new innovation hub in Hartford. 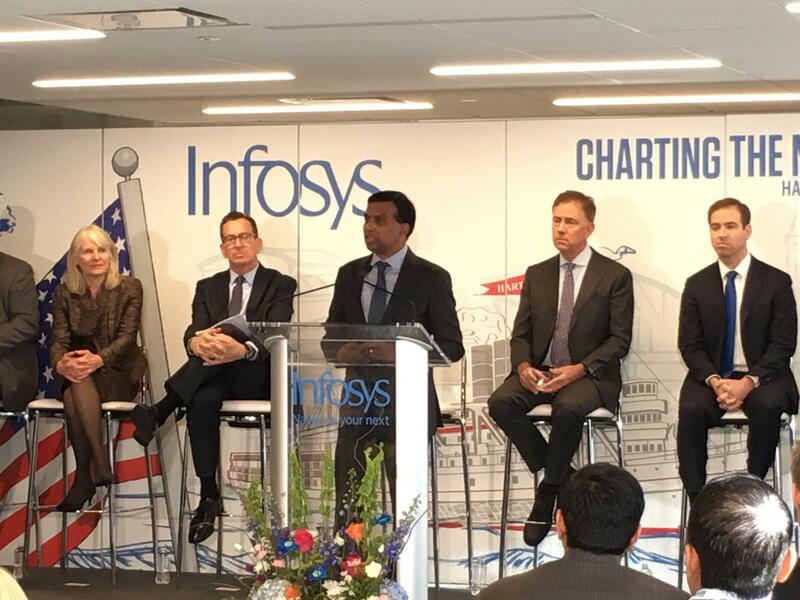 The center, housed in Hartford’s Goodwin Square building, will be one of four that the Indian company is creating around the U.S.
Infosys President Ravi Kumar said the company has already hired 50 people in Hartford, and aims eventually to hire a thousand. In fact, the company has been partnering for the last few months with Trinity College in Hartford to build out a curriculum for liberal arts majors that will eventually become a pipeline for recruitment into Infosys. Trinity president Joanne Berger-Sweeney was on hand at the opening. 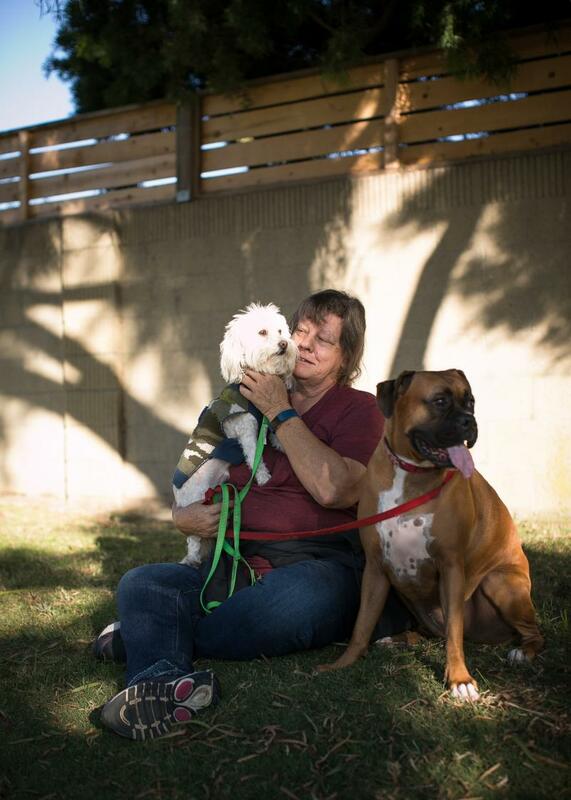 “Liberal arts graduates don’t merely answer the questions of today, they navigate next generation questions,” she said. Hartford Mayor Luke Bronin said the Infosys hub will complement the work already going on in the city in insurance technology, financial services and in fostering startup companies. Infosys president Ravi Kumar addresses the crowd at the company's Hartford opening. Infosys says its Hartford location will specialize in innovating around technology for the insurance, healthcare and manufacturing industries. That deal began to take shape after Ned Lamont, now the state's governor-elect, made an introduction. He is a personal friend of Ravi Kumar and knew Infosys was seeking sites in the U.S. for its innovation hubs -- with the eventual goal of hiring 10,000 U.S. employees. Lamont sold Kumar on the benefits of Hartford, and introduced him to state economic development officials. But, he said, in the end, he's clear on what sealed the deal for Connecticut. The state of Connecticut is giving Infosys $14 million in grants to develop the Hartford office. In one of the largest cybersecurity breaches in history, Marriott International said Friday that information on up to about 500 million of its customers worldwide was exposed in a breach of its Starwood guest reservation database dating as far back as 2014. 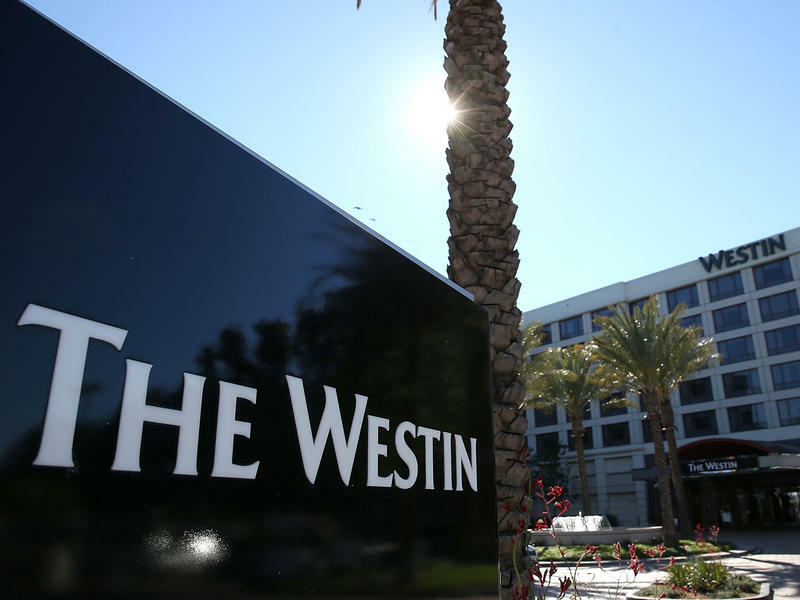 The world's largest hotel chain said it learned of the breach on Sept. 8. United Technologies, headquartered in Farmington, Connecticut, has announced it will break into three companies by 2020. What will this mean for jobs and business in the state? This hour, we take a closer look.